We are a graphic design studio specializing in creation of photo realistic visualizations. We are creative team of young people sharing big passion. Our studio is located in Poland. On our website you can find little store with high quality textures. With that approach you can take best of your time. Important thing is to think at start to make some concept of final effect. Without an general idea it is pointless to start working on details. Having all those facts we could start gathering some materials. At first we had to develop main concept of project. After a short Brainstorm came up very rough idea. Project will be small contemporary loft, with lot of decorative details, fabrics and so one making it feel inhabited. We managed to convince our Client that sunny day lighting could not be the best option here and we get the acceptation for colorful sunset making final image even more cozy and homelike. We knew that the project will involve a lot of stuff, so we started from preparing models of key elements, crucial for our project. All project were done using Autodesk 3ds max 2014. In every project it is a must have in our studio to gather some inspiration images. We digged a little in the internet and collect various references. They are base for us of different elements, mood, color-grading, some details, etc. 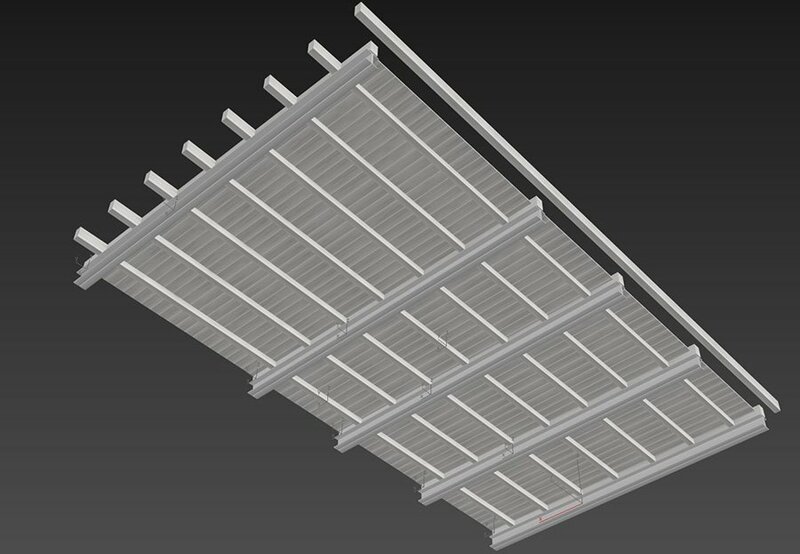 At this stage, with raw model and general concept of the project we have been ready for next step. 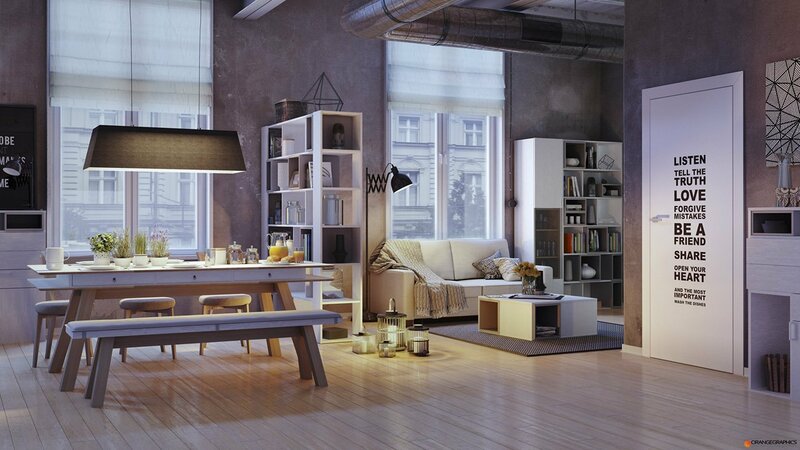 Furniture, involving two areas, dining with large table, and living with sofa and a coffee table. Next door, two big loft-like windows. We had to keep in mind that the floor have to be important too. It is common in our work-flow that we prepare main composition of view and send it to our client. I t is very important to have accepted basic plan before starting further work with materials, lighting and details. Those are couple of concepts, showing the progress how the idea evolved. At first we started to add details to our room. 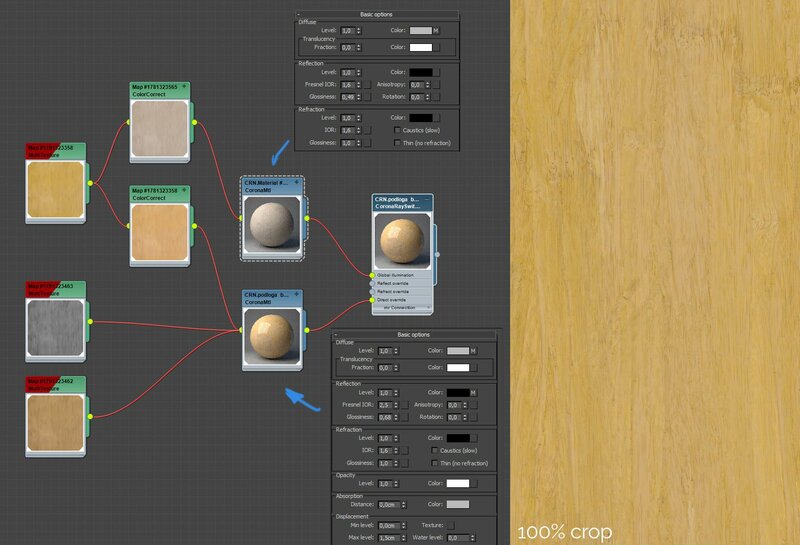 Wooden ceiling is done with floor generator to achieve automatic UVW mapping and ID’s set properly for multitexture map ( both great Plug-ins can be downloaded from www.cg-source.com). 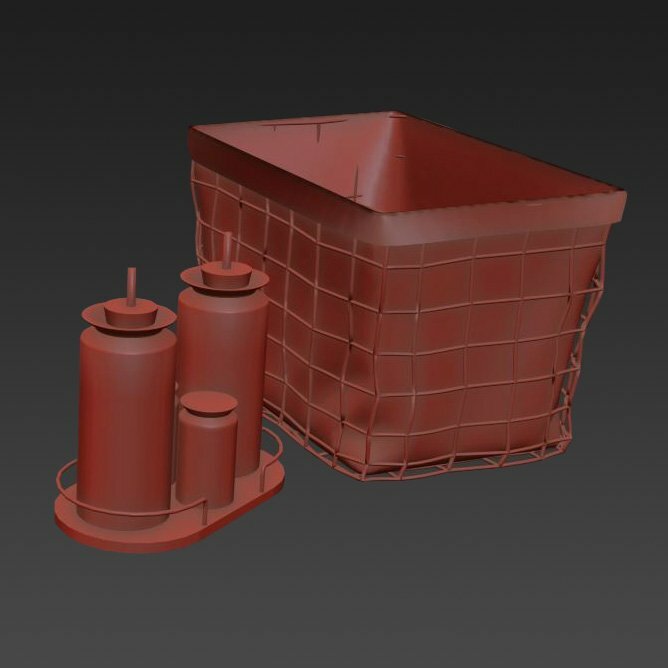 Then with poly modeling we added main wooden blocks and metal legars. Floor is done simply with floorgenerator. We get the dimensions of real floor boards from the client and use them in floorgenerator. 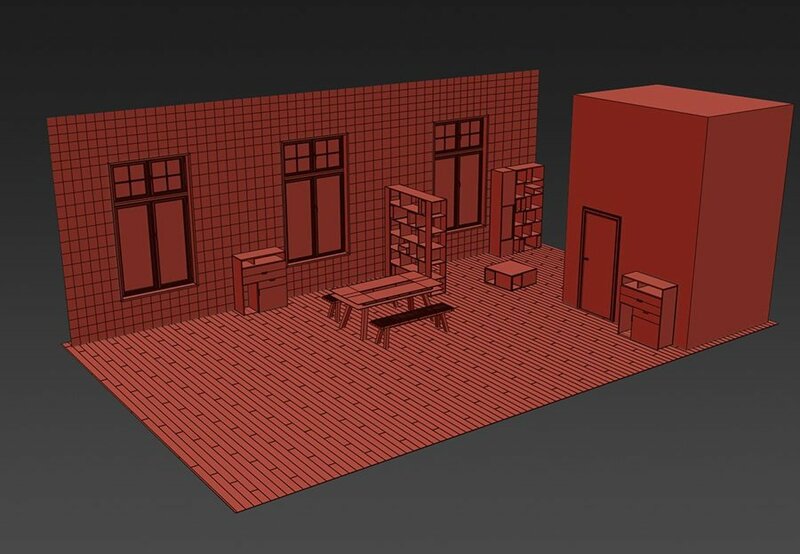 Windows are modeled with poly modeling paying attention details. We had an idea of making main wall with windows from bricks with displacement. This is the reason why it get extra connects to divide all surface on smaller polygons. That way it can be achieved better results with displacement. All displacements have its own algorithms of subdividing mesh before applying changes on the meshes according to the applied maps. With the mesh divided on smaller polygons it is way easier for them to get accurate results. We have received a list of accessories to use. So our task was to model them from the photos. There wasn’t anything very hard or tricky, just a lot of work. 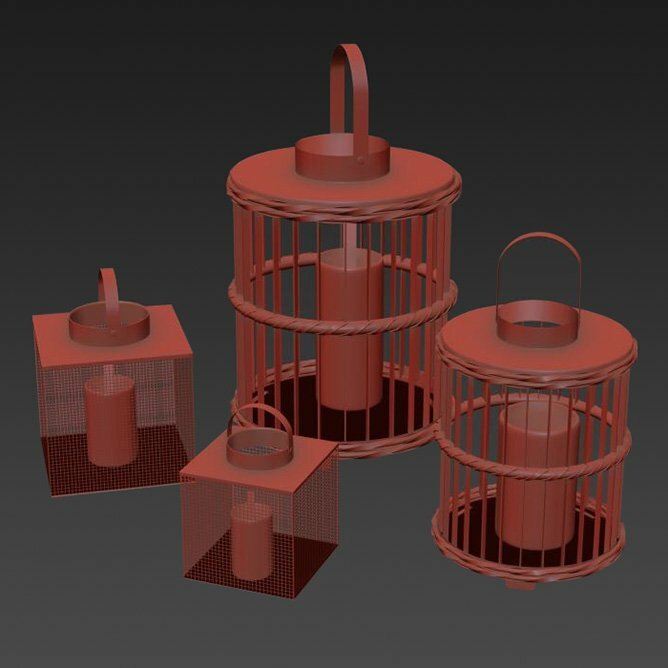 – Lanterns were modeled with poly modeling. Spiral elements on cylindrical Lanterns are done with the help of Twist and Bend modifier. 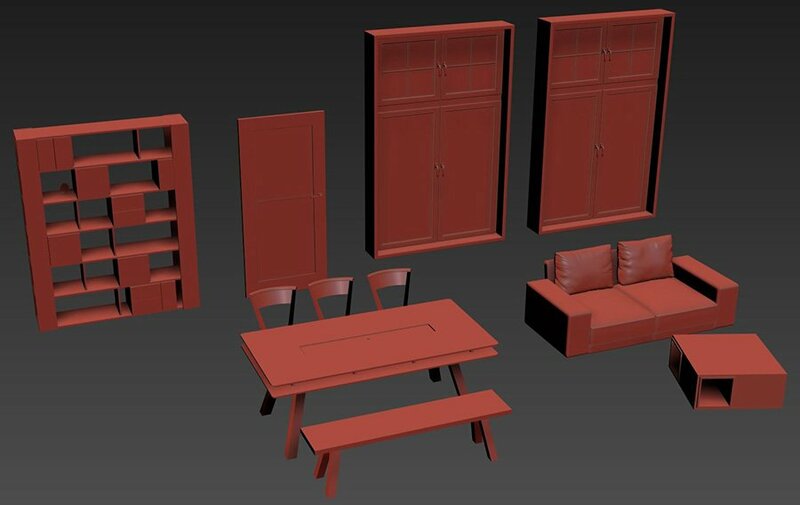 – Sofa is modeled with poly modeling, starting from simple base mesh and constantly adding details. 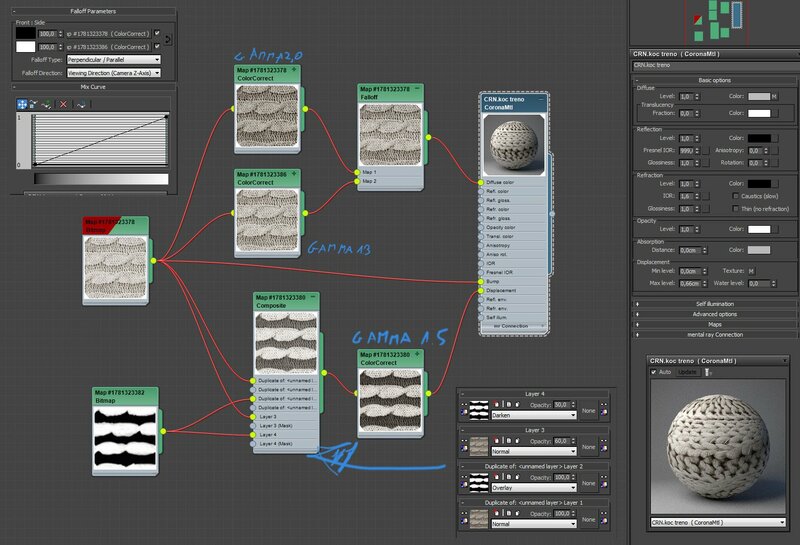 Pillows and Fabrics were made with Marvelous Designer, which is amazing software for such work. After importing meshes to 3ds max we applied ProOptimizer modifier to simplify meshes a bit. – Other accessories were made in similar way, using mainly poly modeling. We are trying to start setting UVW mapping’s just after modeling object. This way we end up with scene ready to applying shaders. We used textures from our brand new online store. Let me tell you few things about it. 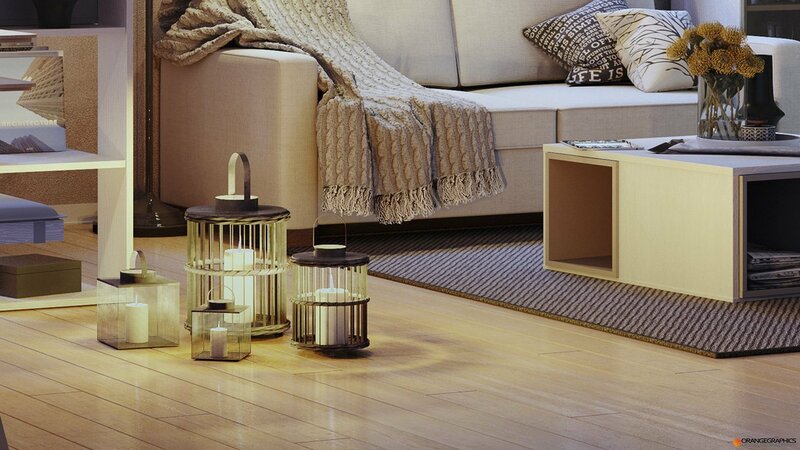 Our first set of products are textures of wooden floors. They are in extremely high resolution and quality. Every single plank is unique, hand picked and precisely verified. 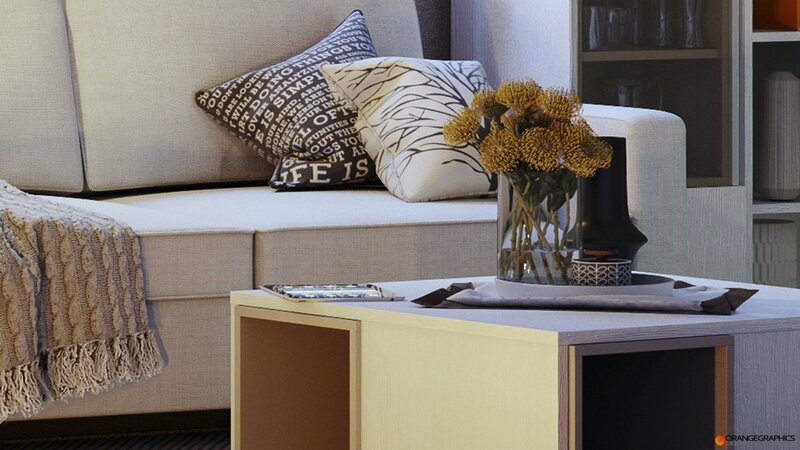 The resolution of textures is about 200px on one cm in reality, so will suit the most requiring projects. One plank leght is 25 000px. Our aim is to provide the highest quality products for CGI artists. Curious about your opinion, we are working on next products to add new top quality content in near future. Mostly used in our pipeline renderer is Vray with all it’s reliability and predictability. We like it a lot. At start of “Apartment 4You” project we begin to set materials with this renderer. It was a time when a lot of projects featured on internet using Corona Renderer software. From curiosity we started testing it. Corona amazed us with simplicity and the quality of lighting. With a little worries how it will handle complex interior project We decided to give it a try. This was our first complete project using new renderer, there was a little worries how it will handle, but after small tests It convinced us that it was a good decision. It is a simple Corona Material. 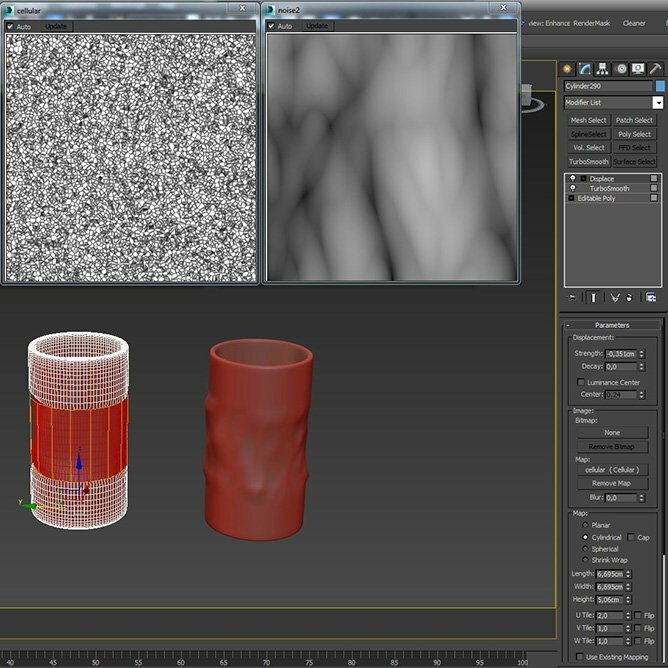 In Diffuse there is a falloff mixing two the same textures. They are only darkened and brightened using color Correct Map. 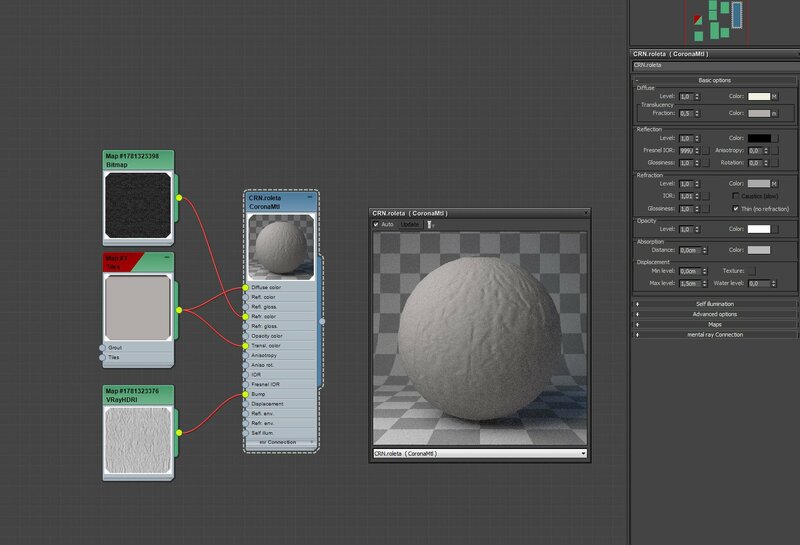 We are very often using ColorCorrect map instead default 3ds max ColorCorrection map as in our opinion it gives much more flexibility of Color-grading different textures and maps. In displacement is Composite map mixing Diffuse map with hand-painted black-white displacement map. In floor we used textures done especial for that project. We had received the real samples of planks from our customer, and using big-formatted scanner prepared textures( about 25000 px length of single plank). The same way we are doing our textures, which you can find on our store. In floor material we used CoronaRaySwitchMtl to avoid exaggerated color bleeding effect from light bouncing from our quite saturated floor. Textures are loaded using MultiTexture plugin from cg-source.com, allowing us with floorgenerator to get extra randomness and great quality in just few clicks. All other materials are done in the same method, using good quality textures and mostly basic Corona Mtl. After preparing basic shaders on all models, it comes time for the best part, working with Light. We had some certain imagination of color grading which we have wanted to get. It is difficult to achieve late evening lighting with maintaining all details of products. We have chosen one reference image of sky in the dusk to get nice colors of dusk lighting. To achieve as much of control as it is possible there was taken decision to not use sun/sky system or HDRI lighting. Instead of that we tried to reproduce needed dusk lighting with Area lights. With the help of gradient ramp map we recreated the reference sky gradient and applied it to the color slot of Corona Lights. There are placed in the windows, as main source of lighting in scene. To achieve nice shadows, smaller area lights are placed on the top of windows with much stronger Intensity. 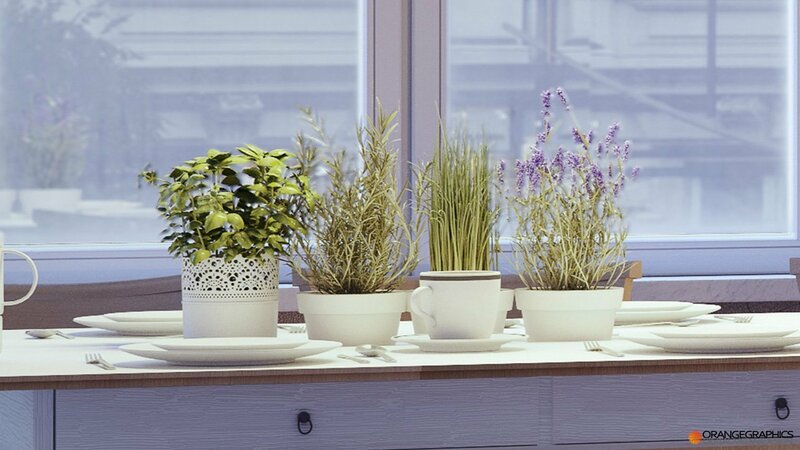 Before saving ready render, We have tone-mapped it using great features of Corona renderer Virtual Frame Buffer. Instead trying different color mappings, trying to find good balance between burn-out s, lighting and shadows, Corona allows us to get maximum advantage of 32bit output, using just two simple parameters: Exposure Compensation & Highlight Compression. All render was saved into 16-bit Tone-mapped PNG files. As the 32 bit’s exr in big resolutions are very big and difficult to handle by various post production applications. PSD files using a lot of render elements in big resolutions ends up I very big sizes. Compositor softwares are prepared to handle very big amount of datas as big resolutions and footages. We are aware that a lot of great CG artists are doing post-production in painting software like Photoshop etc, but we highly recommend trying some kind of compositor software like Fusion, Nuke or After Effects. Final stage was adding little hair-like details to carpet in photoshop, They were simply done as overpainting from parts of photos found in internet.